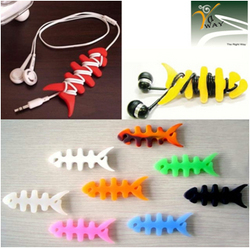 Ya Way provides superior quality of computer and laptop accessories. With Head Office in Chennai and a branch office in Madurai, our goal is to exceed the expectations of every client by offering outstanding customer service, increased flexibility, and greater value. Our associates are distinguished by their functional and marketing expertise combined with their hands-on experience. Thereby, ensuring that our clients receive the most effective and professional service. We pride ourselves on our proven track record for effectively administering multiple implementations. YaWay has a lot to offer and our products are guaranteed to have the best quality. YaWay is the leading importer and distributors of computer products in India. YaWay distinguishes itself from other Computer Distribution Organizations, focusing on introducing and endless offering of high-tech peripherals or accessories, to enhance PC/ notebook users creating a great computing experience. YaWay?s passion for technology and striving for continuous improvement in the delivery of products and services, are what make the organization stand apart from competitors. YaWay has the ability to source latest computer accessories from international renders and deliver a product offering to the Indian market that is unsurpassable. We provide quality products and deliver national distribution network of both internal and outbound sales teams, marketing with technical proficiency.